On the edge of Ravenscar stand the remains of a Roman bathhouse associated with the fort of Glannaventa across the lane. 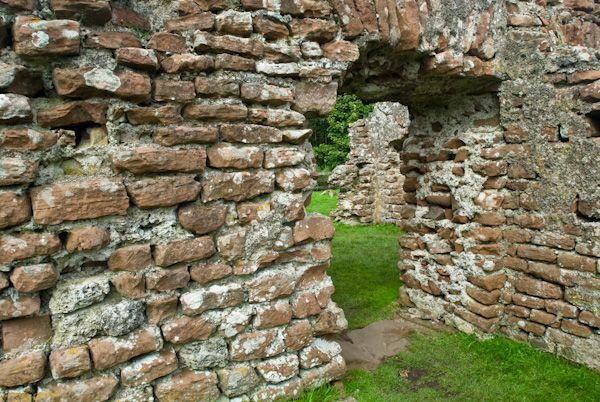 Though there is little to see of the fort, plenty of the bathhouse remains to explore. 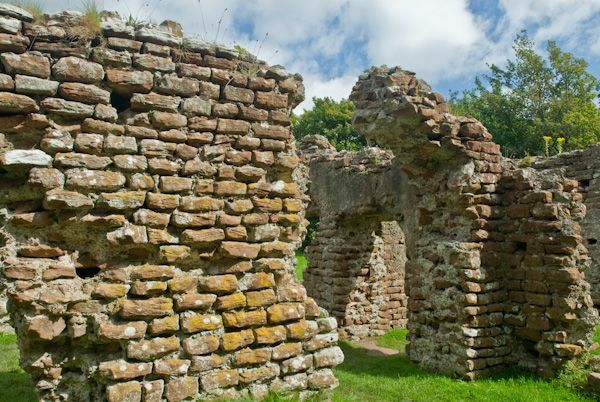 The walls stand to over 12 feet in height, making the bathhouse one of the tallest surviving Roman sites in northern England. 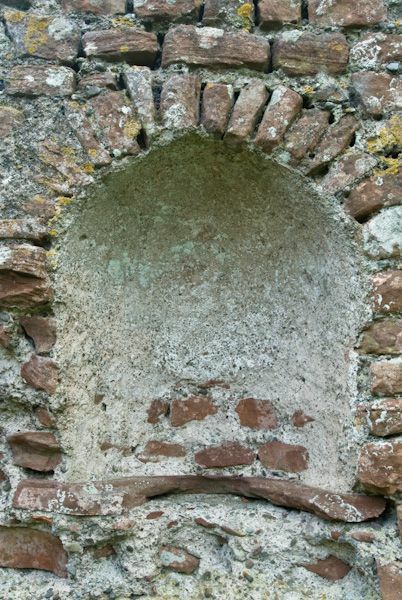 The bath house is thought to date to the period between the 2nd and 4th centuries AD. 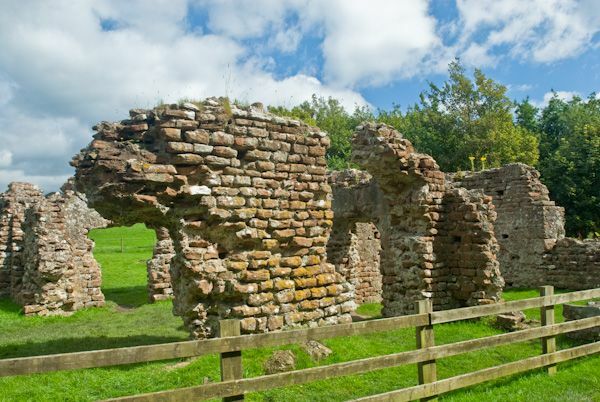 The fort was established in about AD 130 to guard the important harbour at Ravenglass. It can take some doing to find the bathhouse. 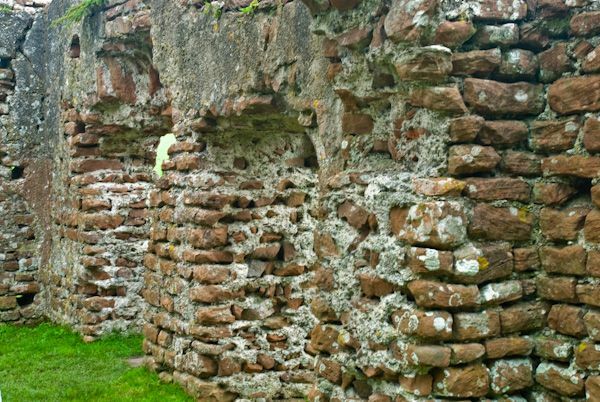 It is signposted from the main car park in Ravenglass, but the signs can be confusing. Follow the signs as if you were heading out of the village and turn right down the lane past the caravan park. 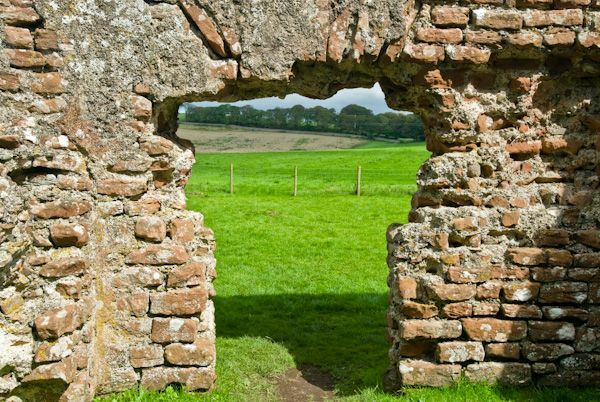 Just keep going for 0.5 miles (just past the third field) and you will see the bath house on your right. Good footwear is advised as the lane can be muddy in wet weather. 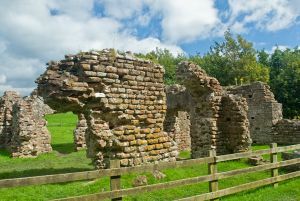 The Roman Bath House is sometimes erroneously known as Walls Castle.